Fall wouldn’t be the same without Apples. It seems like everywhere you go you can see some sort of apple flavored goodness. 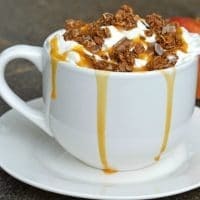 Since I’ve had so much apple on my mind lately, I thought I would partner up with Yoplait to bring you this Apple Crisp Cake in a Mug that is so easy to make and completely delicious! Note: you will adjust this recipe to fit the size of your mug. The idea is have the mixture fill your mug half way prior to cooking. 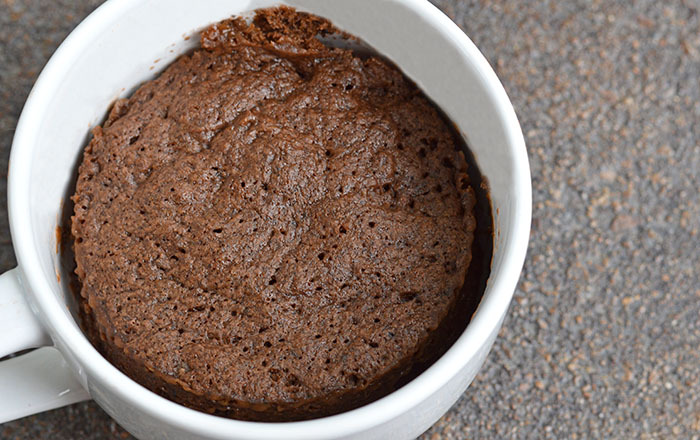 Combine the yogurt, cake mix, and water in your mug. Mix well. Place into the microwave on high for 1-3 minutes. The timing will depend on the mug you use and how your microwave cooks. I suggest starting with 1 minute then cook an additional 30 seconds until the cake has risen. 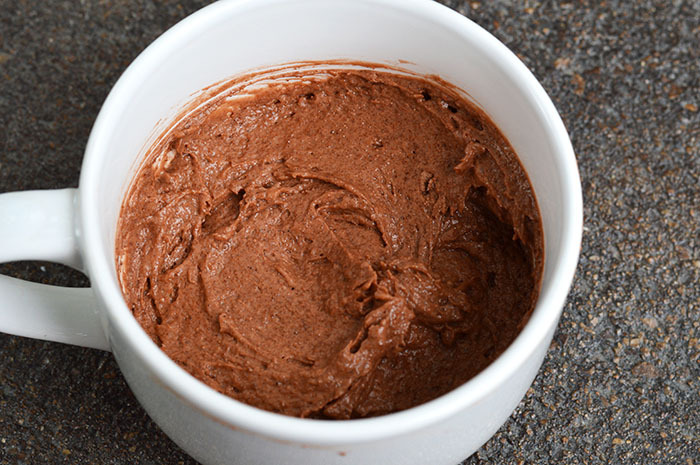 Remove from microwave and allow to cool for about 3 minutes. 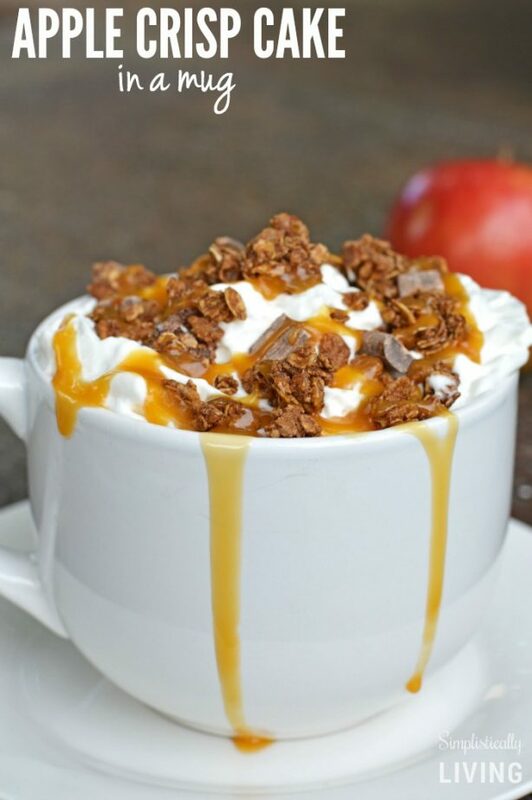 Top with whipped cream, chocolate granola, and caramel sauce. 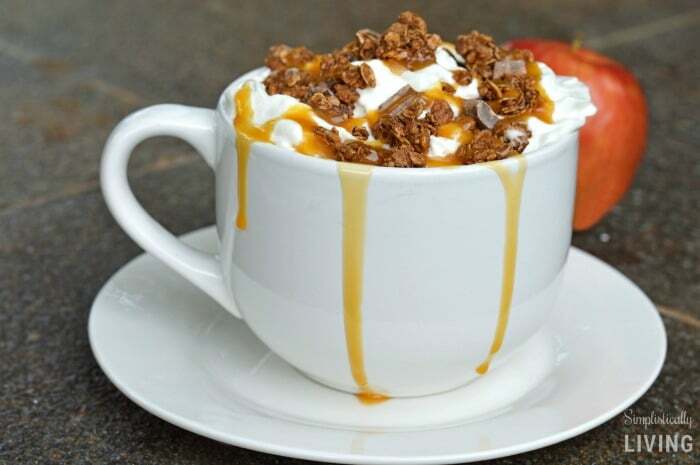 If there was to be 1 general rule about fall I think it would be that you have to enjoy a tasty treat every single day. When I think Fall I certainly think of the seasons changing, fireplaces lighting up, and of course, delicious desserts. With Yoplait yogurt you don’t have to sacrifice your healthiness for a treat! Yoplait Yogurt is goodness in a cup. It tastes great (no matter what flavor you try) and it’s good for you. All Yoplait yogurts provide at least 100mg of calcium per serving. In fact, Yoplait Original and Yoplait Light yogurts have 200mg calcium per serving. Plus Yoplait is the only leading yogurt with Vitamin D in every serving to provide 10%-20% of the Daily Value. Now that fall is here you will need to give their new seasonal flavors a try! Season flavors include: Apple Crisp Yogurt, Greek Pumpkin Cheesecake, Greek 100 Caramel Apple, and Lite Pumpkin Pie. 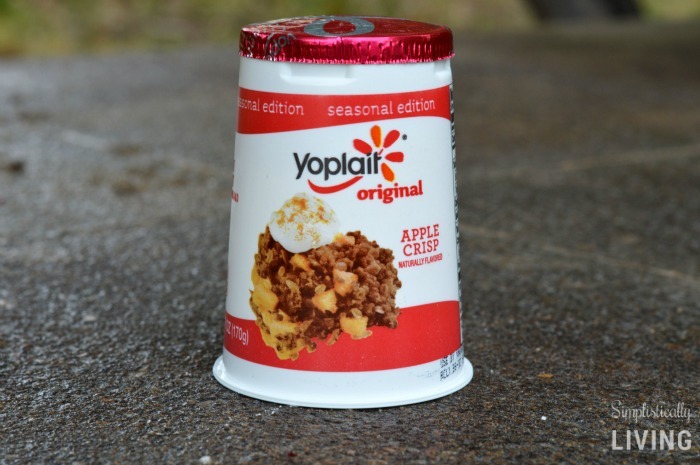 Remember the Apple Crisp Yogurt is the key ingredient to the cake in a mug recipe I provided above. It truly makes it that Fall treat! 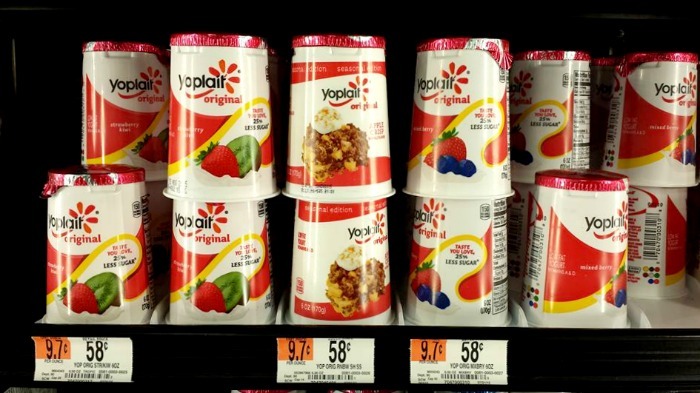 You can find Yoplait yogurt at your Walmart. I could only find the Appel Crisp fall flavor at my local store but I cannot wait to check another store to find additional flavors.